What Makes Our Real Estate Team Different? 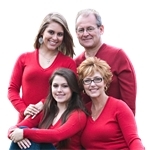 with pre-approved financing, and are committed to buying their next home through The Team. One of them could be a buyer for your home! ALL of these buyers have signed exclusive agreements hiring our team and our Team ONLY to help them buy their next home. What this means to a Home Seller? More opportunities for you to sell your home than with the majority of solo agents who focus their efforts on listing homes instead of helping buyers. More opportunities for you to sell your home faster and for more money. More opportunities for you to experience real estate at the highest level possible and with the best chance to accomplish your real estate goals!